Case description: Female patient, 35 years old, with a history of allergic rhinitis and medicated daily with diosmin 300mg. The main complain was a severe pain in the right ear. Through computed tomography (TC) it was identified a lesion compatible with odontogenic cyst associated with the impacted third molar (tooth 48), which was located from the body of the mandible to the mandibular foramen. The presence of malignant cells was excluded through an aspirative punction. Before surgery, the patient was medicated and informed of the postoperative care, as well as the possible risks of surgery. The lesion enucleated had 4 x 2 cm, it was partially open and filled with a milky like liquid. The anatomo-pathological analysis diagnosed the lesion as a dentigerous cyst (follicular). The surgical site was curetted, covered with a collagen membrane and sutured with 4.0 suture. The postoperative showed no infection, however the patient suffered a mandibular nerve paresthesia that lasted two months. Discussion: Third molars are the teeth most likely to remain included. Near 98% of dental inclusions refer to third molars. In recent decades there has been an increase in the inclusion of third molars. Approximately 33% of the inclusions are associated pathologies (1). Regarding the inclusion of a third molar, the clinician can choose between having an expectant conduct and doing the extraction. In cases where there is a risk of affecting the teeth near and/or to develop lesions, tooth extraction is the safest option. Although some authors advocate watchful waiting, preventive dental extraction has best postoperative results in asymptomatic cases (2-5). The dentigerous cyst consists of reduced enamel epithelium and remnants of dental lamina. The prevalence of dentigerous cysts associated with the included third molar extraction is between 1.5 and 13.3% (2-5). In most cases it is a radiographic finding of late detection and, sometimes, with involvement of anatomical structures. After the radiographic diagnosis, is necessary to obtain a histological confirmation (5). The malignant potential is reduced (4). Conclusions: Preventive extraction of third molars can prevent the development of pathologies, reduce the operative risk and avoid compromising the underlying anatomical structures. Case description: A male patient with 26 years-old attended the Dental Medicine appointment with a clinical history of abscess acute episodes, edema of the right hemi-face, diffuse pains, limited mouth opening. Were performed clinical examination and imaging studies (computed tomography and panoramic radiography); Diagnosed revelled impactation of 48 tooth with extensive periapical lesion associated. Therapeutic and prophylactic medication (antibiotics, NSAIDs and anti-inflammatory/corticosteroids) assessment was done. After 12 days, surgical extraction intervention was carried out, which technique is described step by step. Discussion: In Europe the occurrence of third molar teeth impaction reaches 73% young adults. This impaction can occur in different ways and their surgery may have different levels of difficulty, thus differentiating their therapeutic and surgical approaches. Surgical extraction of impacted teeth may, iatrogenic complications such as lesions of the inferior alveolar and/or lingual nerve and disorders in neurosensory functions, paresthesia, numbness or pain in the affected area of the skin region, gingival lower lip, mucous membranes and gums. Conclusion: The planning of surgical extractions of impacted 3rd molars associated with chronic pathology is essential to prevent postoperative complications. The prescription of complementary diagnostic procedures are crucial for surgical planning, as the anatomical knowledge in order to make possible the most predictable outcome, improving the intervention prognosis. The dentigerous cyst is formed from the accumulation of fluid between reduced enamel epithelium and the crown of an unerupted tooth. It is the second most common type of odontogenic cyst with an occurrence of about 24% compared to all cysts of the jaws2 and is seen more frequently associated with mandibular third molars, maxillary canines and upper third molars3 and present themselves mainly as unilateral cysts, unilocular with asymptomatic episodes of acute pain occurring when there is secondary infection. In tomographic exams, these lesions are presented with well defined edges and unilocular associated with crowns of impacted teeth, including the cemento-enamel junction.3 This lesion is usually small however when larger leads to some cortical expansion and a decrease in thickness and can lead to bone fracture. Treatment selection is based on age, size, location, root development, tooth position and relationship with the adjacent teeth and vital structures. Treatment modalities are enucleation or marsupialization. Complementary diagnosis exams are important both for planning issues either for reasons of identification of potentially clinical and pathological situations adjacent to the reason for patient consultation. Our patient complained of pain at the level of pre-molars, because the prosthesis was traumatizing the inclusion zone. After request of panoramic radiography was found a suggestive radiological image of a dentigerous cyst, assymptomatic, but with considerable dimensions. Mixed Dentition Space Analysis CBCT and some predictive methods. Introduction: An adequate space analysis aims to predict the combined mesiodistal widths of unerupted permanent canine and premolars. Errors can lead to an application of inadequate and irreversible treatments. Objective: To assess the degree of equivalence between predictions given by three models (Moyers' Predictive Tables on percentile 75 and 50 and Tanaka-Johnston's equations) on the sum of unerupted teeth and measurements given by Cone Beam Computed Tomography, considered in this study as the "gold standard". Materials and Methods: The study sample comprised children (n=26) aged 8-13 years who visited the Department of Dentistry, University of Coimbra. Moyers' predictive tables and Tanaka-Johnston equation were applied to retrieve the space prediction. A cone-beam computed tomography was performed and the volumetric data analyzed. A concordance correlation coefficient between each model's predictions was applied. Results: On average, all 3 models tend to overestimate the cone-beam computed tomography readings and are not able to capture entirely sum of unerupted teeth variability. Moyers 50 shows a better distribution between over and under-estimation. Conclusion: This study suggests that Moyer's percentile 50 is the predictive model with the lowest percentage of absolute errors. This allow the orthodontist to choose the best predictive model in his daily practice. Keywords: Cone Beam Computed Tomography, orthodontics, predictive, mixed dentition analysis. Introduction and Objectives: Dental adhesive' solvents can compromise restorations performance. To compare clinical performance of class II composite restorations, considering different adhesive' solvents, acetone and butanol. Materials and Methods: Two prospective clinical trials, two-years, approved by the Ethics Committee, in 52 adult patients of FCS-UFP. Incremental restorative technique with Ceram-XTMmono; Adhesive systems (solvents): Prime&BondNT® (acetone), and XPBond® Xeno™V (butanol); 142 restorations evaluated with USPHS/FDI criteria (aesthetic, functional, biological parameters), by calibrated examiners (ICC≥0.910); Comparison of restorations clinical performance (success rate, %) with non-parametric tests (α=0.05). Results: At 2 years, restorations/adhesives with acetone (n=61,13%dropout) and butanol (n=71, 2%dropout) solvents showed success: Aesthetic 100% and 98.6%; Functional 98.4% and 100% (T.Fisher, p>0.05); Biological 98.4% and 88.7% (p=0.037), respectively. There were clinically unacceptable: One (1.6%) restoration adhesive/acetone solvent in marginal integrity (repairable) and one (1.4%) with adhesive/butanol solvent in marginal staining. Recurrent caries occurred in one (1.6%) restoration adhesive/acetone and 8 (11.3%) with butanol solvents. During two years follow-up, the restorations change levels of clinical acceptability: those with adhesive/acetone solvent in marginal integrity and fracture/ retention (T.Fisher,p<0.05); those with adhesive/butanol solvent in marginal integrity (p=0.013); Only restorations/adhesive with butanol solvent showed significant recurrence of caries (T.Fisher, p=0.003). Monitoring of restorations/adhesives with different solvents should be carried out for long-term evaluations. Conclusions: Restorations with adhesives/solvents, acetone and butanol, showed similar and acceptable aesthetic and functional performance; lower performance occurred in a biological criterion of those with butanol. Clinical implications: Adhesives with acetone/butanol solvents have satisfactory clinical performance in class II composite restorations. Bisphenol A - A real threat in Pediatric Dentistry? Introduction: Recent studies have linked the bisphenol A (BPA), part of dental materials constitution used in Pediatric Dentistry, particularly in fissure sealants and composites, to the occurrence of biological changes based on this substance binding potential to estrogen receptors. Objetives: The present work aims to provide a narrative literature review, featuring BPA exposure when released in the oral cavity and its hypothetical risks to children health. Material and Methods: A literature search was done in Pubmed/Medline using the terms "Bisphenol A" and "sealants" as keywords, and limited to studies in humans published in the last 10 years with abstract available. Results: A total of 121 publications was identified according to the inclusion criteria, 17 were selected after examining the abstract scientifical content. Most of the studies were reviews (only 2 were systematic) and clinical studies. Discussion and Conclusions: The studies are not unequivocally conclusive about the existence of a marked risk to children health and the need of developing additional studies with higher level of scientific evidence in humans is recognized. Although the lack of scientific evidence, several precautions after using BPA-containing dental materials are recommended to reduce its potential absorption. Manufacturers growing concern about minimizing this substance in dental materials is also mentioned in literature. Keywords: Bisphenol A, sealants, composites, dental materials, pediatric dentistry, children. Introduction: The experimental membrane of polyethylene glycol (PEG) intends to overcome the disadvantages of other membranes. Several publications proved PEG's: biocompatibility, occlusive function and ability to prevent collapse. Biphasic calcium phosphate (BCP) contains hydroxyapatite and β-tricalcium phosphate. Objectives: Evaluate the regenerative effect of BCP covered with a PEG membrane and compare the results with the regeneration of defects covered only with the PEG membrane. Materials and Methods: Two parietal defects with a 5mm diameter were created in seven Wistar rats. The control defect (left parietal bone) was covered with PEG membrane and the test defect (right parietal bone) was filled with BCP and covered with PEG membrane. After two months, histologic and histomorphometric analysis were made. The statistical analysis was made with a 95% confidence interval. Results: The test defects had a percentage of new bone formation area of 61.7%±14.6% and the control defects obtained 57.3%±21.8%. The result was not statistically significant (p=0.539). BCP had a low number of particles incorporated into the neoformed bone. The BCP and PEG membrane remained intact after 2 months. Conclusions: There were no statistically significant differences between the groups. BCP did not exhibit osteoconductive properties but sustained PEG membrane. The PEG membrane had a fast and easy application, fixed itself, proved to be biocompatible and occlusive. Clinical Implications: Guided bone regeneration with BCP may not obtain the desired osteoconductive effect. The PEG hydrogel may reduce surgical time. Introduction: The poor oral hygiene (OH) among institutionalized elders and consequent accumulation of bacterial plaque may lead to an increased risk for developing oral pathology and also other conditioning situations of systemic health. Objectives: OH evaluation conditions in an institutionalized elder population and determination of bacterial plaque presence. Material and Methods: Observational, cross-sectional, descriptive study, with 372 individuals 60+ years old residents in 22 homes of the Porto District, randomly selected (clusters).Descriptive/inferential analysis using SPSS©vs.17.0 (α=0.05). Multivariable logistic regression (backward stepwise method, p=0.05/p=0.10 for factor inclusion/exclusion). Results: Mean age was 78.8(± 9.1) years, 69.9% women, 30.4% had no schooling and 81.7% were completely independent regarding OH procedures. 38.9% did not brush their teeth. Gender and independence degree were related to the number of daily brushings; age has not shown this relationship. 71.1% do not brushed and said "do not need to do". The plaque index of Silness and Löe, presented average value of 2.2(±0.76) and 4(1.7%) elders were registered with no bacterial plaque. From the multivariate analysis it was concluded that the presence of visible bacterial plaque is associated only with the number of brushings performed. Conclusions:The oral health conditions observed are relevant to invest on preventive programs with a base of information addressed to the populations. Clinical Implications: The evidence does lead us to state that, in these populations, there is an increased need to control the bacterial plaque therefore preventing the risk of associated pathology. Introduction: Studies about intra-oral radiographies tend to use bitewing for approximal caries detection rather than for occlusal lesions. Objectives: To compare the approximal caries diagnosis by different examiners, in posterior teeth, using bitewings, digital (photostimulable phosphor/PSP) and analogue (film) imaging systems. Materials and Methods: Observational cross-sectional trial, approved by Ethics Committee; 45 adult patients, who voluntarily attended FHS-UFP operative dentistry appointment. Data from patient's files were collect. Visual observation of bitewings, made during appointments, with PSP (13 patients) and film (32 patients), was performed by 5 examiners (categorized in 3 groups according time of clinical practice (CP): One dentist (D)≥15years; 3D with 10-15years; One D<5years), to detect approximal caries in 1800 surfaces. ICDAS criteria were applied for caries registration. "Dentist≥15 years" was defined as reference/control for calibration. The inter-examiner diagnosis comparison was done with intraclass correlation coefficient/ICC; Statistical analysis performed with α=0.05. Results: 1025 surfaces registered; Sound surfaces: 859(47.72%); Approximal caries detection: 166(5.22%); 5.22% (dentine)/4.00% (enamel). Very high to high agreement values (ICC: 0.866-0.978) were obtained; Examiners with less CP showed agreement levels significantly smaller for both imaging systems. More trials are needed to evaluate and compare the diagnosis performance and calibration of examiners, when using different x-ray detectors. Conclusions: Diagnosis of approximal caries, using X-ray detectors, show an inter-examiner agreement high but differences were detected for the examiners according to image systems (PSP/film) used. Clinical implications: Approximal caries detection can be better detected using bitewing, with imaging systems that should produce maximum diagnostic information minimizing patient x-ray dose. Description: Female patient, 40 years-old, complete edentulous with atrophic residual ridges and bearer of complete upper denture. Previous history of carcinoma of the oral cavity subjected to partial right glossectomy. Subsequently suffered an episode of osteoradionecrose post-extraction in the 4th quadrant which resulted in a severe mandibular defect. In first phase has been developed the clinical history of the patient, orthopantomography, teleradiography and carried out preliminary impressions with an irreversible hydrocolloid. As treatment plan the option was a conventional prosthetic rehabilitation protocol with a total mucus-supported prothesis. From the models were made individual trays. Final prints were made with heavybody and extralight-body. After obtaining the models, was developed an upper jaw registration plate for aesthetic evaluation, a mandibular stabilized plate for determination of the neutral zone and two stabilized plates (maxillary/mandibular) to make an intermaxillary dynamic register. This was followed by the teeth trial and insertion. Discussion: atrophic ridges constitute a challenge to the oral rehabilitation especially when facing obstacles to the use of implants. In cases of bone radionecrosis in addition to the atrophy of the ridge, this presents considerable defects affecting the stability/retention of rehab. However, through a careful clinical protocol: accurate prints, determining the neutral zone and making a intermaxillary dynamic register based on gothic arch tracing you can restore health, function and aesthetics of these patients. Conclusions: despite anatomical constraints, was possible to improve the patient quality of life and wellness without the use of implants. Introduction: Dental injuries occur mostly in school therefore the level of teachers' knowledge in this area is particularly important considering that their immediate and appropriate attitude may depend the dental prognosis. Objectives: Assess elementary teachers' knowledge, of public schools of Oporto city, about dental trauma. Material and Methods: Cross-sectional study that used a self-administered questionnaire distributed in 49 schools, whose data were analyzed by SPSS program. To proportions comparison between participants were used the Chi-square, Fisher exact and the nonparametric Mann-Whitney tests. The logistic regression was used to quantify the relationship between teacher's features and their knowledge about dental trauma through adjusted odds ratios and respective confidence intervals to 95%. Results: 329 teachers (74.9%) delivered a full questionnaire. It was found that 40.1% had already witnessed dental injuries however only 2,5% had training in this area. Facing a dental fracture most teachers didn't know that the fragment could be reused, as well as in an avulsion condition only 6.7% knew that they could reposition the avulsed tooth. It was also observed that most teachers answered wrongly to other questions related to dental trauma in school context. Discussion: It's verified the existence of a low level of knowledge about dental injuries in this population and it has been found that most teachers are not qualified to manage a traumatic dental injury. Conclusions: Teachers, as first entity to deal with these traumatic injuries, should be trained to contribute, along with the pediatric dentist, for the improvement of treatment provided to the child. Introduction: Effective management of patient perceptions/satisfaction regarding dental health/care and services is paramount to obtain. Objectives: To measure outpatients' satisfaction with oral health/care delivery, in a University dental school clinic, by means of developing an inquiry. Material and methods: 268 outpatients, both genders, 46.1(±16.3) years, voluntarily attended in FHS-UFP dental school clinic (April-July/2012), answered an inquiry (31 questions), evaluating patient satisfaction level (five-point Likert scale); The inquiry was further reduced to 26 question, and arranged into components by means of Factorial Analysis/PCA. Psychometric analysis (inquiry developed evaluation) was performed by means of studying its reliability and validity. Descriptive/inferential analysis was performed with SPSS© vs.21 (=0.05). Results: Results regarding reliability coefficient (Cronbach's α=0.616), content, and construct validities showed intermediate internal consistency and satisfactory validity. Factorial analysis showed the pertinence of this model (KMO=0.655; Bartlett sphericity test, p<0.001), by means of PCA, indicating the existence of five components. The scores obtained for overall satisfaction with dental services ranged from 84 to 130 point (mean values=109.5±8.2). 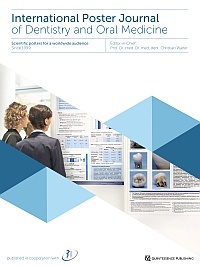 Although a significant positive association was obtained for "patient assistance access and receptionist help", by female outpatients and their age (rs=0.306, p<0.001), the highest mean satisfaction score were obtained for the components: "perception of solved (dental) problem", followed by "professional's quality and dental treatment" and "patient assistance assess and receptionist help". Conclusions: This study makes available a tool to contribute to management and measuring dental healthcare deliveries. Clinical Implications: Overall high level of patient satisfaction reflects the responsibility/accountability of dental team's approach towards the target population. Introduction: Of several methods used today for caries diagnosis, few studies report the using of visual/radiographic examination and caries activity assessment in treatment decision-making. Objectives: To calculate caries prevalence (caries activity, visual (ICDAS-II)/bitewing examinations) and caries treatment decision-making. Materials-Methods: Observational, cross-sectional trial, approved by Ethics Committee. Random sample: 45 individuals attended voluntarily FHS-UFP dentistry appointments (Set2013-Mar2014). Caries activity ICDAS-II visual and bitewing radiographs (collect from files) examinations were performed by five examiners trained/calibrated (ICC=0.970) to detect mesial/distal/oclusal carious lesions in 900 posterior teeth (2700 surfaces). Statistical analysis/inference by caries activity (active/inactive) and ICDAS (visual/bitewing examinations) for prevalence. Visual/bitewing records compared by Z-test and prevalence for treatment decision (surgical/non-Surgical treatments and/or therapeutic monitoring-TM) through 95%CI. Results: Sample: 57.8% male patients, 14-71 years old (age/gender; Mann-Whitney T., p=0.408); Prevalence of caries activity: 82.04% sound, 1.06% inactive and 16.90% active lesions. ICDAS (Visual and bitewing): enamel (7.07% and 2.67%), dentine (3.74% and 4.44%) and recurrent (3% and 2.41 %) caries. Visual/bitewing examination ICC=0.674(95%CI: 0.594-0.734). Caries treatment decisions: 82.23% surfaces for TM; 3.78% non-surgical treatments and TM; 10.11% surgical/non-surgical treatments or/and TM, and 3.88% surgical and therapeutic treatments. Conclusions: Use of ICDAS-II, by visual and radiography examinations and caries activity, enables a more accurate diagnosis and guidance in surgical/non-surgical/therapeutic decision-making. Correlation between visual/radiography examinations is reasonable to good. Clinical Implications: ICDAS-II may have high potential for caries detection and treatment planning, and other diagnosis devices can add more substantial information to visual examinations. Temporomandibular Disorders (TMD) refer to a group of disorders that affect the temporomandibular joint, the masticatory muscles or both. Currently the possible relationship between orthodontics and TMD is still a matter of debate: Does orthodontic treatment predispose to the development or aggravation of TMD? Or, on the other hand, treat the signs and symptoms of TMD? Review the literature to assess the scientific evidence that demonstrates whether or not a relationship between Orthodontics and Temporomandibular Disorders exists. A search was conducted until November 2013 on Cochrane Database of Systematic Reviews and Medline for systematic reviews, meta-analyzes, randomized clinical trials and controlled clinical trials, using the following keywords: "orthodontic treatment AND temporomandibular disorders". The selection was based on the inclusion and exclusion criteria previously established. The literature search yielded 10 articles. Current literature on the existence of a possible relationship between orthodontics and TMD is scarce and heterogeneous. However, most studies seem to suggest that orthodontic treatment does not cause or treat TMD. Although current scientific evidence demonstrates that orthodontic treatment is not a predisposing factor for the development or aggravation of TMD, neither a treatment for this disorder, definitive conclusions cannot be draw. So, there remains a need for future studies. Is important to carrying out a medical history and clinical examination before starting orthodontic treatment or during it in order to promote a correct diagnosis and subsequent treatment plan suitable to the TMD. Keywords: Orthodontics, Temporomandibular Disorders, Orthodontic Appliances, Craniomandibular Disorders, Dental Occlusion and Temporomandibular Joint. Case description: Female patient, 24 years without pathologies systemic, smokes an average of 15 cigarettes/day, had an internal resorption in tooth 11. A slow orthodontic traction with downtime (7 months) to level the gingival margins and pull the alveolar bone was made. Finishing the orthodontics, it was performed the extraction and a socket preservation technique (xenograft and connective tissue graft). After 4 months was placed a 3i® implant (3,75 x10mm) and regenerated with xenograft and collagen membrane due to a buccal bone dehiscence. In the second surgical phase (4 months), ISQ values were 79-80, simultaneously was performed a coronal repositioning flap with connective tissue graft. After a month was placed a temporary crown (8 months) to model the soft tissues. The patient has a follow-up of 5 years with the hard and soft tissues stable. Discussion: The slow orthodontic extrusion allows to pull the tooth, soft tissue and alveolar bone. The extrusive force should be slow and steady (15g on anterior teeth), maximum 2mm/month and performed a stabilization period equal to the activity. The use of mucogengivalis techniques in implantology is sensed to improve the profile and to increase soft tissue volume and keratinized tissue. The provisory crown helps shape the emergence profile and maximize soft tissue. Conclusion: Although is a longer treatment, at 5 years presents aesthetic results and stablility for hard and soft tissue. Introduction: Rough and chemically modified surfaces of dental implants may lead to an improvement in maintenance of secondary stability, favoring the process of remodeling and bone formation and allowing the installation of immediate function or early loading. However, there is a question how is the ideal condition of primary stability required in the initial period of osseointegration. Objectives: The objective of this preclinical in vivo study was to compare the biomechanical fixation throughout the removal torque values and its intrinsic properties, such as energy and stiffness, between two types of surfaces of dental implants: in the control group were used implants with surfaces that received blasting and dual-acid etching (E - Etched n = 12); the experimental group received dual-acid etching with concentrations of 50% of hydrochloric acid and 50% of sulfuric acid, followed by treatment with microwaves for 10 minutes at an average frequency of 2.45 GHz and the insertion in an isotonic saline of 0, 9% in order to increase the degree of hydrophilicity (H - Hydrophilic n = 12). Materials and Method: Two pairs of implants were installed bilaterally in the proximal tibia of six beagle dogs, remaining for 2 and 4 weeks in vivo. After euthanasia, the specimens were fixed for 24 hours and used for the biomechanical test (removal torque - 1.96 mm / min). The values of strength (N.cm) and the rotation angle applied to the implants were used to calculate the energy (J) and stiffness (Ncm / rad). The Tukey tests for multiple comparisons and ANOVA with 95% significance level were used for statistical analysis. Results: The test for the significance of the removal torque was statistically similar between the experimental and control groups at 2 and 4 weeks (p = 0.05), although noting a rise in values over time. The experimental group showed higher values of energy required to remove the torque, while the stiffness values were revealed very similar between the groups tested. Conclusion: The biomechanical results suggest that the initial phase of bone healing can be positively affected by the chemically modified surface; however, upcoming studies are needed to confirm these effects. Introduction: The need to obtain bone substitutes capable of assisting in the regeneration of large defects drives the research towards the development of new synthetic biomaterials. Objective: To evaluate the biological behavior of two experimental bioceramics (AA and U) in the regeneration of critical bone defects. Material and Method: Biomaterials composed primarily of monetite supplemented with zinc, silica gel and hidroxyapatite, with particles between 0.25 to 1.0 mm in size, were implanted in similar amount in defects with 8.5 mm diameter made in calvarias of Rattus norvegicus. The animals were sacrificed at 15 days, after surgery. The calvarias were collected, processed, analyzed histomorphologically in comparison to a negative control with blood clot (C-). Procedures approved by CEUA/UEFS/BR, Protocol 12/11. Results: In all groups there was little acute inflammation. Group C- showed only reactive bone formation at the edges and fibrous tissue in the defect area. However, in implanted groups, especially in AA, most of the particles were slightly degraded and surrounded by osteoid matrix, probably due to the wide availability of bioactive ions such as calcium, phosphate and zinc released due to monetite solubilisation. Conclusion: It was concluded that both biomaterials are biocompatible but AA was more osteogenic than U. More studies in others biological points are necessary. Clinical Implications: The development of a resorbable biomaterial which accelerates bone regeneration is relevant for orthopedics and dentistry, and can lead to a decrease of morbidities. Financial Sources: Study supported by CAPES, CNPq and FAPESB. The obstructive sleep apnea syndrome (OSAS) is characterized by a reduction or absence of airflow in the oral or nasal cavity. The rapid maxillary expansion device (RME) has been considered an important treatment option. The objective is to review the literature to assess the effectiveness of RME in the treatment of children with OSAS. A research was developed over the following primary and secondary electronic data bases MEDLINE / PubMed, Embase, CINAHL, LILACS, Cochrane and OvidSP. A search strategy was made using the English terms: "Palatal Expansion Technique" [MeSH] AND "Sleep Apnea, Obstructive" [ MeSH] limited to randomized controlled trials, cohort studies, systematic review and meta-analysis, in Portuguese and English, performed in humans under 18 years and regarding articles published between January 1st 2000 and January 2014. In this review, a total of 36 articles were identified, 17 of which were considered potentially relevant. After applying the inclusion and exclusion criteria, 6 publications were accepted. Among these, only 4 had a positive result after the CASP quality assessment and therefore were included in this study. The RME is effective in the treatment of children with OSAS combined with inadequate respiratory capacity and transverse maxillary deficiency, resulting in the improvement of polysomnographic variables, especially in the apnea-hypopnea index. In children with maxillary endognatia presenting no adenotonsillar hypertrophy, as well as no neuromuscular disorders, cardiorespiratory or craniofacial anomalies, RME is a valid option for treating OSA. Introduction: The distraction osteogenesis (DO) is the biological process of new bone formation between segments separated by traction. McCarthy (1992) firstly applied DO for mandibular lengthening of patients with facial deformities. There are few experimental studies on the effect of DO rate on the quality and quantity of new bone. Objectives: To evaluate histologically and histomorphometrically the effects in new bone of two rates of canine mandible tooth-borne DO. Materials and Methods: 7 Beagle dogs weighing between 15-18kg were submitted to DO and 3 remained as a control group. Both hemi-mandibles were used for experimental purposes: Group A: 6 mandibles - control group, Group B: 7 hemi-mandibles - two daily activations of 0.5 mm; Group C: 7 hemimandibles - 1 mm single daily activation. The distraction period was followed by 12 weeks of bone consolidation. Histological and histomorphometric evaluation of new bone tissue was performed. Results: Centripetal bone tissue formation from the marginal host segments of distraction gap occurred in both groups B and C. In group B, the distraction gap was consistently bridged by a remarkable amount of new trabeculae bone. In group C, non-union situations and large areas of cartilage / fibrocartilage were frequent. Histomorphometric evaluation showed statistically significant differences in the coefficient of variation of bone formation between the medial-buccal and lingual-buccal areas. Conclusion: Increasing the rate of distraction produces structural changes in the newly formed bone. Clinical Implications: This research allows inferring that continuous DO may be effective for the correction of mandibular deficiencies. Case description: MSSAC, female gender, caucasian, 36 year old patient. Ex-smoker and with high blood pressure condition. Reason for consultation was facial asymmetry. Both panoramic x-ray and CT scan revealed a radiopaque mass extending from the upper right central incisor to the maxillary tuberosity, with obvious maxillary sinus invasion. An incisional biopsy was performed using a trephine. The anatomo-pathological examination revealed a fibro osseous benign lesion consistent with fibrous dysplasia (monostotic). The patient, after being informed of the therapeutic options and because there was no functional or esthetic compromise, decided to monitorize the lesion and refused the surgical approach. Discussion: Fibrous dysplasia is a rare bone disease characterized by the replacement of bone with cellular fibrous tissue containing foci of ossification. In the jaws, is more frequent in the maxilla than in the mandible. Fibrous dysplasia can cause severe deformities and blindness. Some reports provided evidence that the disease becomes stabilized after bone maturation. Fibrous dysplasia should be distinguished from ossifying fibroma because both lesions often show similar histological and radiological features. Conclusion: Fibrous dysplasia is a rare and benign bone disease that can compromise aesthetically and functionally the affected individuals, especially when the craniofacial complex bones are involved. In those situations, surgical treatment is recommended in order to restore the normal anatomy of the affected structure. In the less severe cases, when skeletal growth is stabilized and no functional or aesthetical impairement occurs, the therapeutic approach would be the periodic monitorization of the bone lesions. Objective: The current study pretends to present a clinical case of aesthetic and functional rehabilitation of a lower lip that was deformed due to vascular lesion. Treatment was executed by using a surgical diode laser and both primary healing time and postoperative pain were being constantly macroscopically evaluated. Case description: 12 year old patient with vascular malformation. The lesion was located in all right side of the lower lip from internal face to midline, and it was compromising both esthetics and function. Lesion measurement was 25x20x10mm going through the internal face of the lower lip having 25x12mm in its wider area. Surgical treatment was made in 2 sessions of 980nm surgical diode laser (GaAl) along with fiber tips of Ø 400µm. Patient's pain degree was constantly examined in the first 3 days after the sessions. The patient had regular clinical follow ups in a 6 months period. Results: The results displayed a total re-epithelialization in about 21 days. Patient had no serious complications and postoperative pain was minimal and occurred only in the first 2 days. The patient displayed excellent aesthetical results having an almost indistinguishable scar after 6 months. Conclusions: The use diode laser can be considered as an ideal solution for treatment of vascular anomalies located in oral cavity. Introduction: Dentin hypersensitivity derived from exposed roots has a high prevalence. By occluding exposed dentinal tubules it is possible to achieve a relief since avoids displacement of intratubular fluid. Objectives: To evaluate which of the different dentinal sample preparation methods exposed to the nanoXIM 9% solution achieves better Scanning Electron Microscope (SEM) microphotographs quality preserving the nanoXIM solution hydroxyapatite in the dentinal tubule lumen. Materials and Methods: Six dentin specimens were obtained from human teeth and submerged in nanoXIM 9% study dentifrice solution for 5 days. The six specimens received three different treatments: a surface sealant was added to the dentinal surface for 2 specimens ("EasyGlaze" Group), nail varnish was added to other 2 specimens ("Varnish" Group) and for the other 2 specimens, nothing was added ("Sem Nada" Group). The specimens were observed at the Scanning Electron Microscope (SEM). Results: The "Sem Nada" sample was the only one where was possible to observe clearly the occluded dentinal tubules with the nanoXIM solution. In the "EasyGlaze" group the hidrophobic resin originated tags which penetrate the tubules and coated the dentin, jeopardizing the SEM observation. The "Com Verniz" sample originated na amorphous layer which also jeopardized a correct dentin observation. Conclusions: In the "Sem Nada" Group the pretended results where achieved. The nanoXIM 9% solution seems to be effective in the tubular occlusion. Clinical Implications: By occluding successfully the dentinal tubules, the hydroxyapatite solution may be effective in reducing the dentinal sensitivity. A 13 years old male, had crossbite of 1.2/4.3 and 2.2/3.3 teeth. The treatment plan suggested to repositioning the 1.2 and 2.2 is using a a composite resin inclined plane. Due to the social impact, the patient chose one at a time. After 2 weeks the inclined plane was removed from 1.2 tooth and it was uncrossed. During the follow-up period, the treated tooth was examined clinically and radiographically and the patient never complained of pain and / or discomfort. The technique used was the placement of composite resin A3, 5, with an 45 ° inclination and 3-4 mm of posterior disocclusion, in order to occlude the buccal aspect of the mandibular tooth with wide enough to withstand occlusal forces mesiodistal. The treatment of anterior crossbite through composite resin inclined plane is generally well accepted by the patient, unlike the removable appliance, where the lack of initial adaptation encourages not to use, and the use time and high activation make it less advantageous . The inclined plane also has the advantages of esay technical and time reduced to clinical procedure, also reducing the patient's exposure to the monomer of polymethyl methyl present in removable appliances. The method, as demonstrated in this case, is a safe, quick, easy, acceptable aesthetic alternative and involves no discomfort for the correction of anterior crossbite of one or two dental pieces. Aims of Procedures: We intend to present a technique of reconstruction of maxillary horizontal bone defects by applying, fresh-frozen cortico-cancellous blocks allografts, from the Bone Bank, Faculty of Medicine, University of Coimbra, in the onlay technique, with the aim of implant supported prosthetic rehabilitation. Case Report: A 46-year-old female with lack of retention of the upper denture. After careful review intraoral and initially, under local anesthesia, proceeded to the exposure of the alveolar crest. The blocks were prepared, stabilized and fixed to the native bed using micro-screws. After five months, reopened to remove the screws and eight implants were placed. Six months later, the patient received an implant supported rehabilitation. Results: During the re-entry procedures, all the blocks were found to be firm in consistency, well-incorporated and vascularized, with minimal resorption, allowing the installation of eight implants. There were no post-operative complications. After twelve months, the implant-supported rehabilitation was in perfect function and none of the implants were lost. Discussion: The reconstruction with onlay bone blocks, provides better outline and resistance to implant placement. The application of fresh-frozen bone blocks allografts allowed good adaptation to the recipient site, reduced operative time, less morbidity, greater availability, security implementation and patient comfort compared to the application of autografts. Conclusion: Bone reconstruction by the application of fresh-frozen allogeneic bone blocks under local anesthesia by applying the onlay technique has been shown to be a suitable alternative to the use of autografts, in bone reconstructions at a short period of time. Keywords: Bone blocks, onlay technique, bone allografts, cortico-cancellous, horizontal bone defects, recipient site.